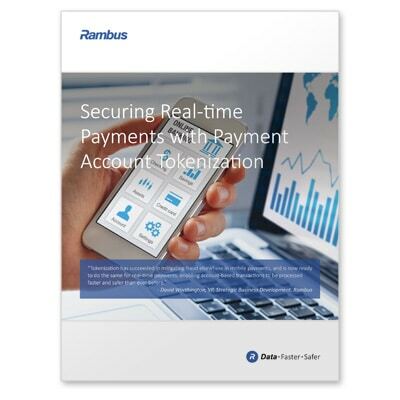 “Tokenization has succeeded in mitigating fraud elsewhere in mobile payments, and is now ready to do the same for real-time payments, enabling account-based transactions to be processed faster and safer than ever before,” Rambus’ David Worthington explains in a new white paper that is now available to download from the NFC World Knowledge Centre. “Demand deposit account (DDA) credentials for business or consumer current, savings or checking accounts are stored in a wide range of locations,” Securing Real-time Payments with Payment Account Tokenization explains. The 12-page white paper explains how the tokenization of payment account details can mitigate fraud, sets out five key benefits of payment account tokenization and explains how the technology works, using illustrated examples of creating a token and using a token in a transaction. Readers can download the full white paper from the NFC World Knowledge Centre here.